Spring fashion coincides with Spring fever which means sunshine, patio weather, and outdoor live music. Cue in our cover girl, Marcella Simien, and everything falls into place. The well-loved Swamp Soul Princess has long been known for her ardent lyrics and velvety voice performed on many patios and other music venues around town. 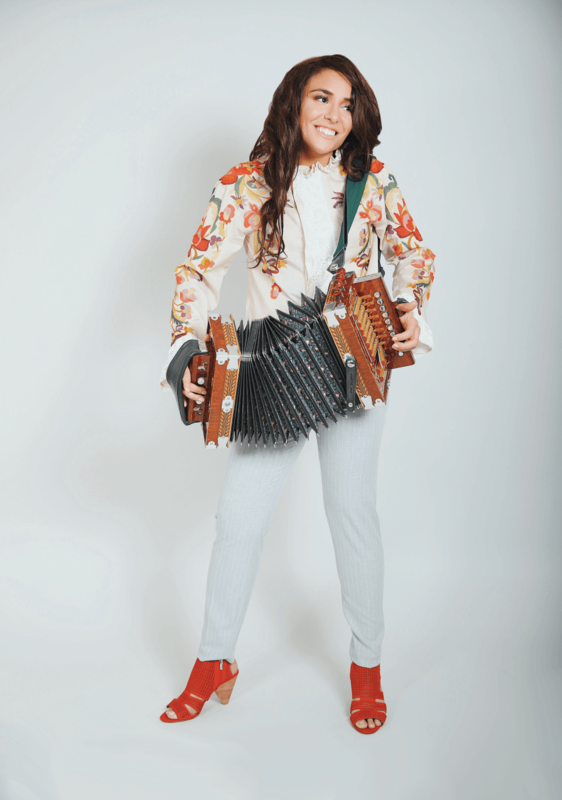 Marcella hails from Cajun country and is the daughter of Terrence, a Grammy Award winning musician, and Cynthia, a fashion industry veteran. Her style has always been very intentional with darker colors that reflect her incredible sultry voice; but it turns out, Marcella might have a little Spring fever herself. We thought she would be the perfect person to show off the biggest trends that fashion retailers here in Memphis have – along with her famous smoldering look translated in her own way. 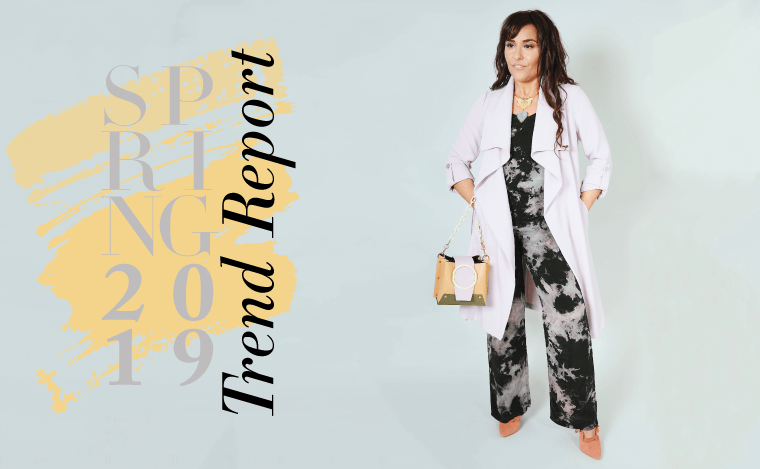 Enjoy the following pages of our Spring Trend Report starring Marcella in the freshest looks Spring has to offer. Trend: JumpsuitsJumpsuits are making a strong appearance and this one is so perfect with its moody tones and supple fabric. The lavender trench brightens it up and the structured purse grounds the look. An art-deco style butterfly and raw agate necklace adds rockstar power to the look and Marcella has her own feminine flair with ruffled heels. Trend: Color PopNeutral trousers are the perfect Spring staple, especially when paired with pops of bold colors. Spice up your basics with retro floral and lace elements. Marcella modernizes her vintage look with edgy heels. Trend: Rain JacketLet your true colors show through with this transparent rain slicker. Who says rain days are blah? Trend: Sheer ChicSpring calls for lighter, softer, sheer pieces. Marcella pairs rose gold metallic for a harmonious balance of textures. A scarf brings a playful pattern and feminine power. Trend: Structured Blazer and PursePower dressing continues to make its way for women in the form of blazers and purses with clean lines. This blazer with its bold stripes and pattern will give your wardrobe a jolt for spring. Marcella shows us where she is-right on trend and looking confident. Trend: MonochromeLots of color is trending but so is the absence of it in monochrome looks. Layering shades and textures keep things interesting and Marcella shows how to pull it off with ease. 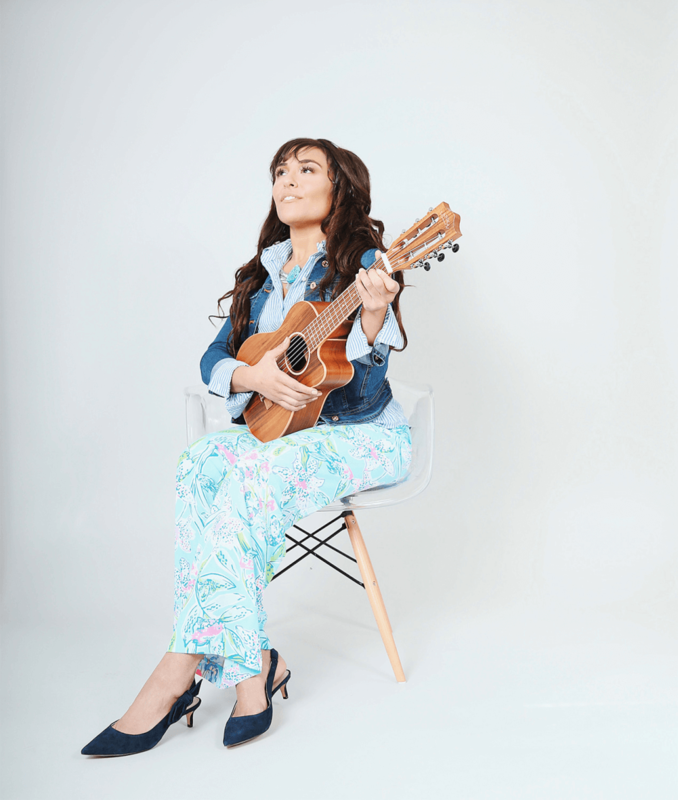 Trend: Bright Pastels and Kitten HeelsOne of the most trustworthy names in fashion is Lilly Pulitzer, so when Marcella pairs it with her own rocker denim jacket and lanikai ukulele, she commands attention. Adding this season’s kitten heel adds feminine charm to the trending bright pastels for Spring. Trend: YellowYellow is Spring’s biggest color and Marcella wears it well. 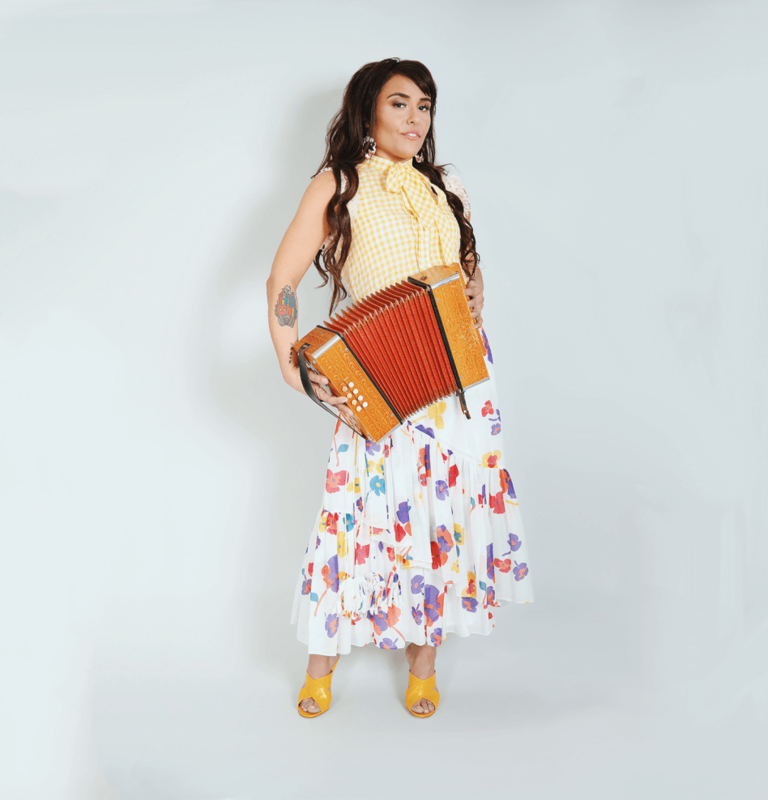 The best accessory is her vintage Hohner Accordion and of course, yellow patent shoes. The tie-front bow blouse in yellow gingham and floral skirt bring out the Louisiana country farm girl in Marcella.